Of course, I knew that it was a possibility. That’s how the Awards work. You enter, and I thought, “nothing ventured, nothing gained”. To have gained an actual nomination is a surprise and a delight. Helena Attlee was probably my secret weapon, talking about Citrus in Italy. It is honestly hard to express my delight and excitement. 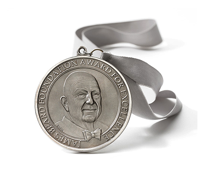 Hard to believe, but Eat This Podcast has been nominated for a James Beard Foundation Award in the podcasting category, and in good company too.